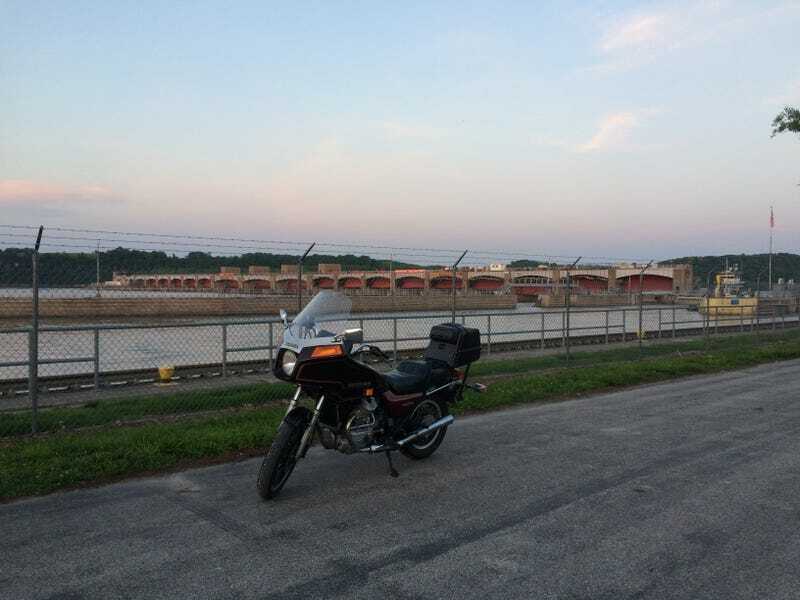 Went for a ride after work. Got to the lock and damn just at sunset. And I get home after 30-40 miles and my side cover is gone. This is a burgundy replacement, close but not brown.